How should we handle scofflaws at younger levels? Wed., June 8, 2016, 8:04 a.m.
A GRIP ON SPORTS • We are all a bit jaundiced to news about college football programs going on NCAA probation, aren’t we? After all, it happens to a high-profile school about once a year. But when the same problems – recruiting violations, rule-breaking and the like – filter down to the high school level, that still catches our eye. Read on. • There has been a high-profile case going on the Seattle area for the past month. Probably the highest-profile case in state history. 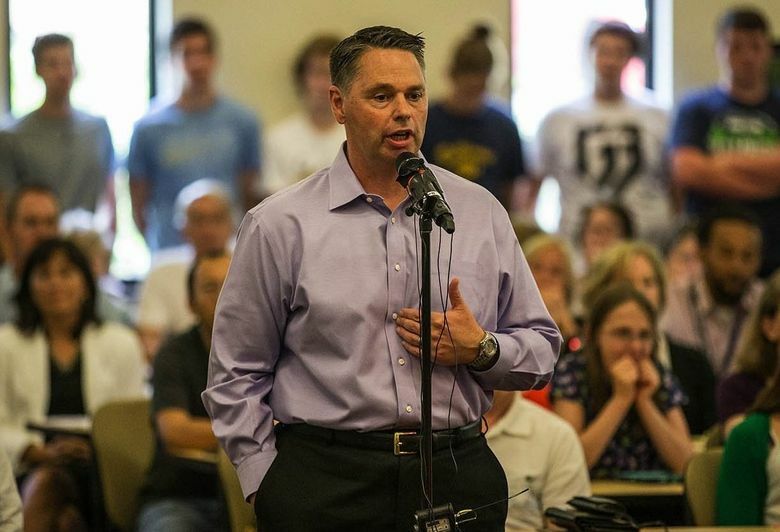 Bellevue High’s football program, winner of 11 state 3A titles in the past 16 years, has been criticized by an investigation commissioned by the Washington Interscholastic Activities Association. It’s been slapped by its district and school board. And now Bellevue’s football program and its booster club have been whacked by its league, the KingCo Conference. Yesterday, the KingCo athletic directors released their punishment for Bellevue High and they are draconian. Saying their own investigation found a preponderance of evidence Bellevue broke more than a handful of rules, the conference banned Bellevue’s football team from the postseason and outside-the-state travel for four years and from playing non-conference games for the next two. That means an incoming freshman at Bellevue High this year would play some 34 football games in his four years, about 35 percent fewer than a recently graduated senior may have played and about 20 percent fewer than the typical high school football player in this state. That’s pretty harsh punishment for a kid who had nothing to do with the adults screwing up over the past decade. There were other punishments and new procedures stipulated in the KingCo report, but I keep coming back to the limit on football games. See, even at Bellevue High most of the players don’t play football after high school. It’s not like baseball or basketball or tennis or golf, sports in which the average high school athlete can continue to play in college and beyond, whether it be intramurals or recreationally. Tackle football is over for most after their high school days. The out-of-state travel? Ban it. The booster club? Make the school disassociate itself. Or, better yet, demand that for every dollar the club invests in Bellevue athletics, two or three have to be donated to the other high school athletic programs in the district. Coaches let go? No problem. If they broke the rules as often as the investigations say they did, they should be fired. Take away state titles? Sure, if kids that should have been ineligible played or a financial advantage in violation of existing rules was realized during a championship season. But let the incoming kids play the normal amount of games. Don’t punish them for the sins of their predecessors. That isn't right at any level. • Over on this side of the state, we aren’t squeaky clean either. Jim Allen has a story in today’s paper on the penalties assessed against North Central’s cross country program, the most successful in the state’s history. NC has been sanctioned due to recruiting violations, though the punishments handed out by the WIAA’s District 8 board are more penance than jail time. Head coach Jon Knight (pictured) and assistant coach Len Long face missed meets, sure, and the program is on probation for three years, but the main element of the decision revolves around the desire to ensure similar violations never occur again. Education and accountability seem to be at the forefront of the ruling, which is appropriate. Isn’t that what our schools are charged with delivering? But what if the rules are broken again? Then throw a Bellevue-sized book at them. • WSU: The academic problems of backup quarterback Peyton Bender are documented in this story from Jacob Thorpe. ... There are quite a few athletes with local ties getting ready to participate in the NCAA track and field championships. Jim Allen has a story that introduces many of them. ... Don’t underestimate Klay Thompson. ... Which WSU football player is a darkhorse candidate for all-Pac-12 honors? ... Oregon State’s Wayne Tinkle and UCLA’s Jim Mora signed contract extensions. • EWU: Weber State’s Joel Blomoby should hear his name called at the NBA draft. • Empire: With star running back Trevor Kennedy sidelined, a defensive back will fill the breach. That, and more, is contained in Jim Meehan’s weekly notebook. • Preps: Greg Lee was at the Spokane Youth Sports Awards last night and has this story. 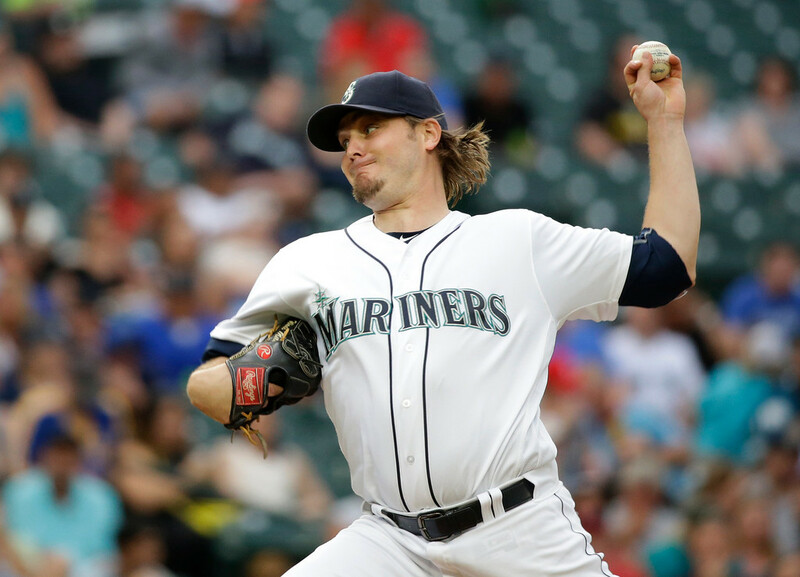 • Mariners: A trimmed-up Wade Miley pitched seven shutout innings, Nelson Cruz hit two home runs and the M’s breezed past the Indians, 7-1. Now that’s what they needed, especially on a day when Felix Hernandez was seen using a protective boot to help his injured calf. ... James Paxton’s start the night before was also much needed. • Seahawks: Marshawn Lynch isn’t as well as off as some reports would have you believe. At least, that’s what Lynch says. • Sounders: The U.S. Men’s National Team needed a win over Costa Rica in the Copa America and it earned it, 4-0. The match, in Chicago, included a 3-0 halftime lead. Now a win or a tie in the final group stage match vs. Paraguay moves the U.S. into the single-elimination round. ... Speaking of challenges, the Sounders face some right now.